וַיֹּאמֶר אֲלֵהֶם יִשְׂרָאֵל אֲבִיהֶם, אִם-כֵּן אֵפוֹא זֹאת עֲשׂוּ--קְחוּ מִזִּמְרַת הָאָרֶץ בִּכְלֵיכֶם, וְהוֹרִידוּ לָאִישׁ מִנְחָה: מְעַט צֳרִי, וּמְעַט דְּבַשׁ, נְכֹאת וָלֹט, בָּטְנִים וּשְׁקֵדִים. Then their father Israel said to them, "If it must be so, do this: take some of the choice products of the land in your baggage, and carry them down as a gift for the man - some balm and some honey, gum, ladanum, pistachio nuts [botnim] and almonds. from It. pistacchio, from L. pistacium "pistachio nut," from Gk. pistakion, from pistake "pistachio tree," from Pers. pista "pistachio tree." The pistachio is a nut that has been cultivated in the Middle East since ancient times; however, the peanut is native to South America. When it was brought back to Europe, each country gave the peanut a name in its own language. The Germans call the peanut erdnuss - literally "earth nut". And following this pattern, there are those that call the peanut egoz adama אגוז אדמה - "earth nut". However, the French call the peanut pistache de terre - "earth pistachio". (They also call it cacahuète, arachide, and pois de terre. Not sure why they have so many names.) Following the French name, Hebrew originally had botnei adama בטני אדמה - "earth pistachio". However, pistachios were already being called fistuk פיסטוק - so the "adama" was dropped, and peanuts were just botnim. Avineri says this is also due to the fact that peanuts were much prevalent in Israel than pistachios (he wrote this piece in 1955; I'm not sure that's still true today.) He suggests the retronym botnei etz בטני עץ for pistachios, but is comfortable with the more foreign term of fistuk. One interesting question is, what is the singular of botnim? I think most Israelis would say boten בוטן - like Ben Yehuda records it. However, since the word only appears once in the Bible, in plural form, it's not so easy to say. Klein and Even Shoshan have botne בָּטְנֶה for the the pistachio nut and botna בָּטְנָה for the pistachio tree (so the tree appears in the Mishna - Sheviit 7:5). 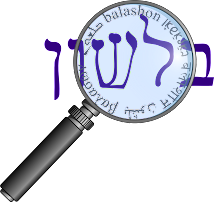 Ben Yehuda also mentions this approach, as well as one that says that botna is both the name of the nut and the name of the tree.